Digital innovations are transforming business and have a pervasive influence on all areas of a company. It has an impact on customer experience, and enhances productivity by improving the way people collaborate within an organization. We have a long and proven track record of technology innovation and this is at the centre of how we deliver services to our customers. Building on this reputation, we invest a lot to create a set of innovations. Innovation requires a range of activities, some of which will take place in our R&D labs, some within our various business units and some that will take place in collaboration with customers and partners, either at an individual client level or within larger industry groups. Our vision is to shape the future with our customers and we have a longstanding pedigree of generating new technologies and services. However, the real skill is to be able to repeat this time and again with our customers and for it to be recognised as real innovation. Ideally innovation should focus on two complementary activities: Reshape the customer value propositions for your products & services, and Transform the operating models by using digital technologies for greater customer interaction and collaboration. 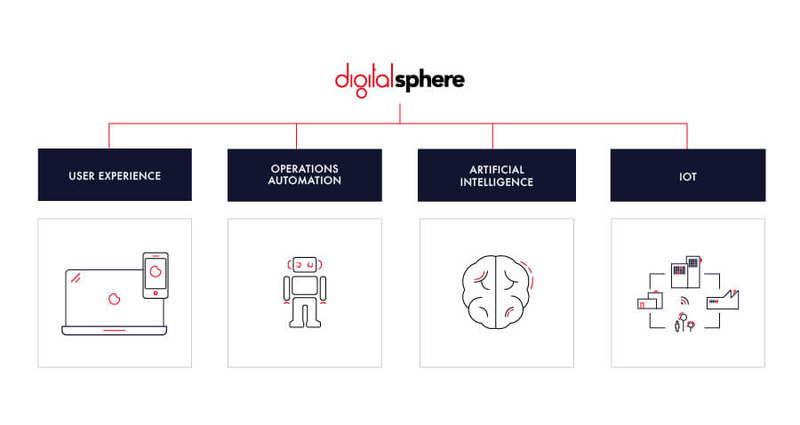 Our unified innovative solutions package DigitalSphere™ is based on methodological and technological know-how of many years with references and feedback from practical experience. User Experience is an important element to establish relationship between users and your company. These elements can make the difference in terms of service acceptance and adoption. It can be summarized by the customer perception of a service or a product. User Experience is built through different channels. 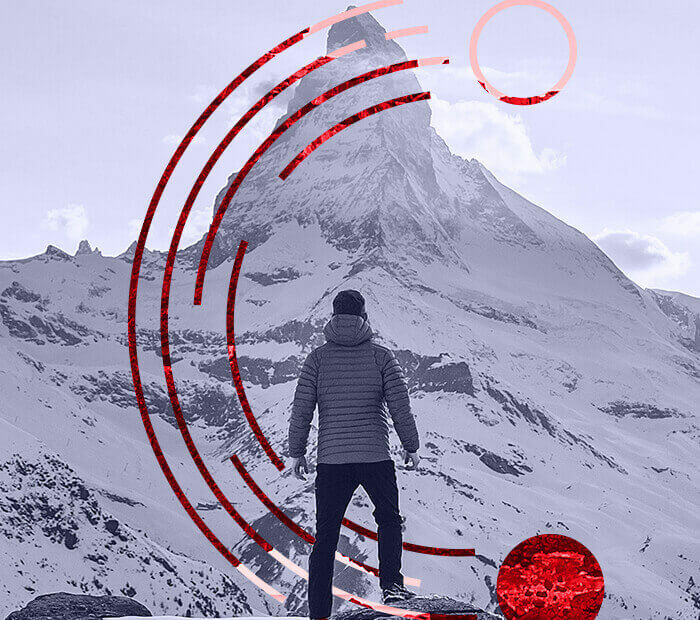 The objective is to use all the available Digital solutions to develop its business and expand its channels of communication, acquisition, loyalty and take advantage of the automation of its management models. This is not a marketing revolution, but a transformation of the manner in which you do business. To manage User Experience, your Company needs to define a global strategy to treat each user as individuals. Ideally the strategy should focus on two complementary activities: Reshape the user value propositions for your products & services, and Transform the operating models by using digital technologies for greater user interaction and collaboration. Increase easily and significantly customer contact frequency, get a better understanding of their needs, in order to anticipate and to meet them proactively. Undertake "Zero paper" policy, transfer administrative tasks to yours customers, relationship managers focus on tasks with high added value like consulting and sales, etc. Across the world, many millions of hours of staff utilization in service and support operations are being consumed with activities which could and should be better delivered by automation. Automated systems can free staff to do the actions that really need their input, can improve speed and consistency and significantly reduce costs. Our belief is that deploying automation should be easy. That is why our technology focuses on automating the way your staff work today. It’s not a replacement for the tools or systems you use, it’s an automation platform designed to fit in to your processes and systems in place of manual activity, here and now. No process re-engineering, no tools replacement, no integration, no coding and no big change programs. We’ve made our solution simple to implement, quick to demonstrate value, and flexible enough to work in any environment. AI is a core technology which enables many complex processes to be conducted independently of human judgment. But it is not the whole story of AI, just an important piece of the puzzle. Our human cognition is continuously generated from complex interactions between our sensory organs, nervous system, brain and external environments. To achieve an AI, we have to replicate and bring together a range of cognitive capabilities: perceiving, reasoning, making choices, learning, communicating, and moving and manipulating. Fujitsu is developing key technologies under a comprehensive framework. We call it Human Centric AI, Zinrai. Fujitsu is incorporating component technology such as machine learning, deep learning and visual recognition, into its digital solutions and services. Fujitsu believes the most critical mission of technology is to empower people and help everyone live a fuller life. We are working to realize a future in which people and AI autonomously collaborate and achieve previously unthinkable breakthroughs. We call it Human Centric AI. We have developed a suite of IoT-related technologies that can enable greater value from an IoT implementation. We deliver a total IoT solution covering sensor devices, network and security to create an environment to support innovation on a proven IoT platform, powering digital transformation with IoT solutions and services for the transformative enterprise. Our strong portfolio of our own intellectual property is combined with a broad ecosystem of partners. Our IoT solutions range from enterprise wearable devices, middleware software, cloud platforms to standardized business solutions for customer verticals. They leverage both our own, and partners, expertise in analytics and AI.